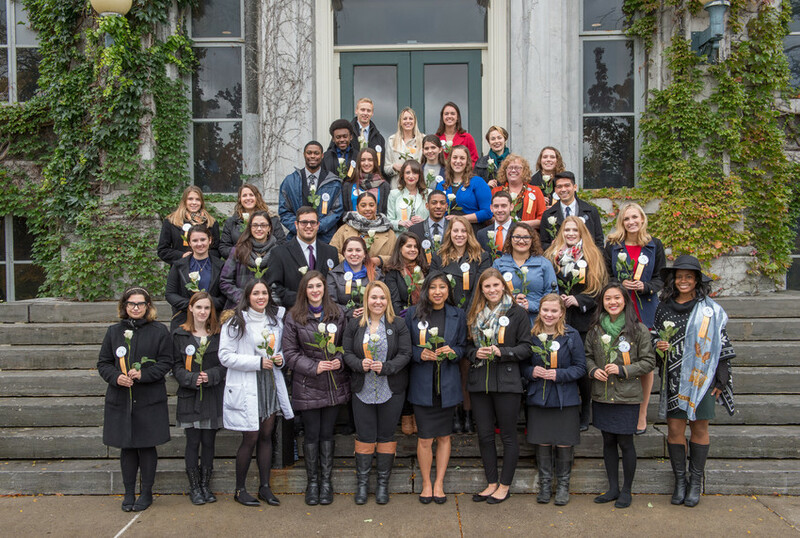 The annual Rose Laying ceremony to remember the Syracuse students killed in the Pan Am 103 bombing and the Remembrance Convocation to recognize the 2016-17 Remembrance and Lockerbie Scholars were held Friday. 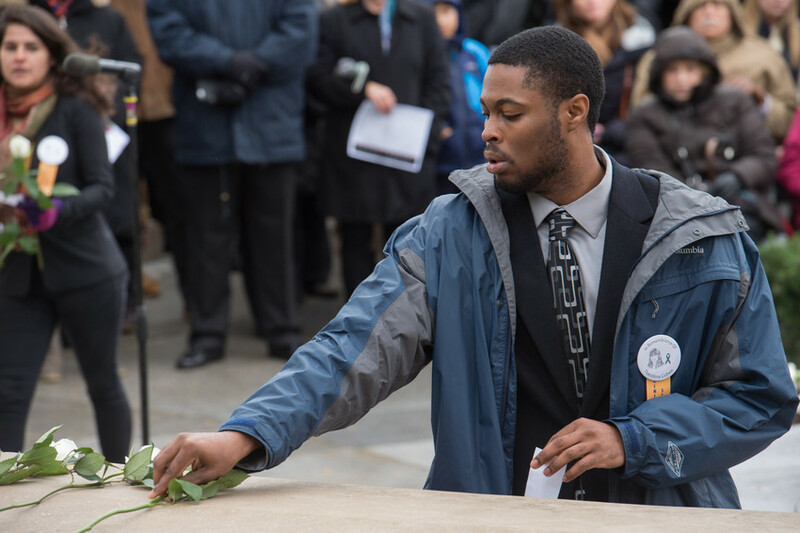 The events were part of Syracuse University’s Remembrance Week 2016. 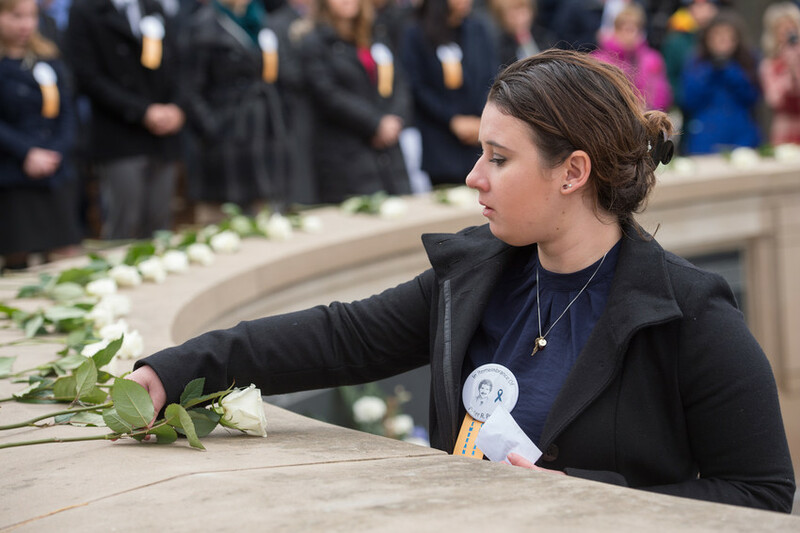 The weeklong series of events honors the 270 people, including 35 students studying abroad through Syracuse University, who lost their lives in the terrorist bombing of Flight 103 over Lockerbie, Scotland, on Dec. 21, 1988. 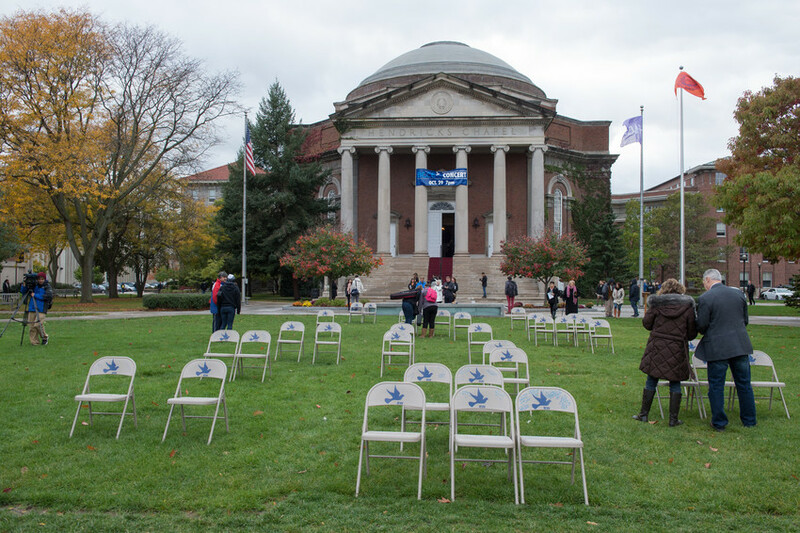 View some photos from Friday’s events. 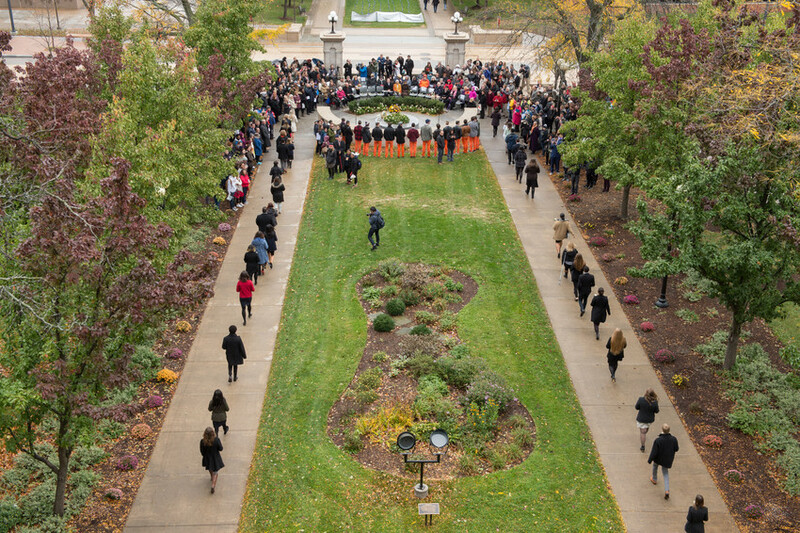 Remembrance and Lockerbie Scholars walk toward the Place of Remembrance Friday. 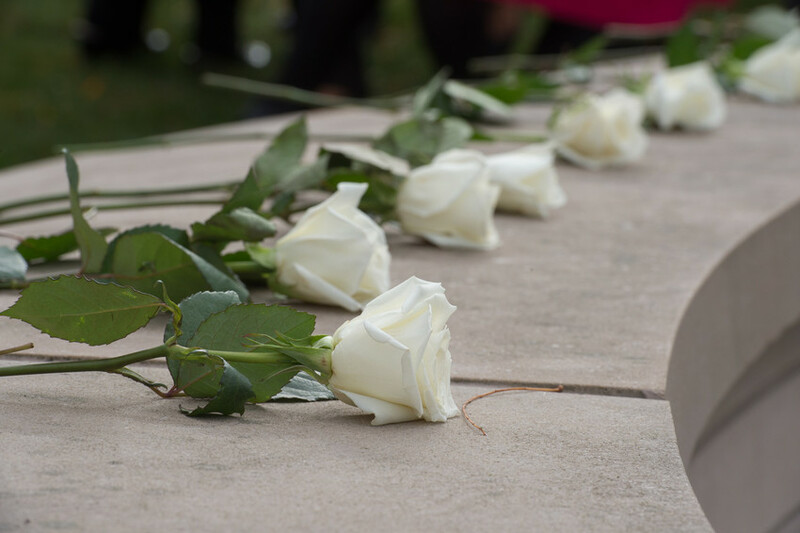 Remembrance Scholar Nigel Miller places a rose on the Wall of Remembrance during the Rose Laying Ceremony Friday. 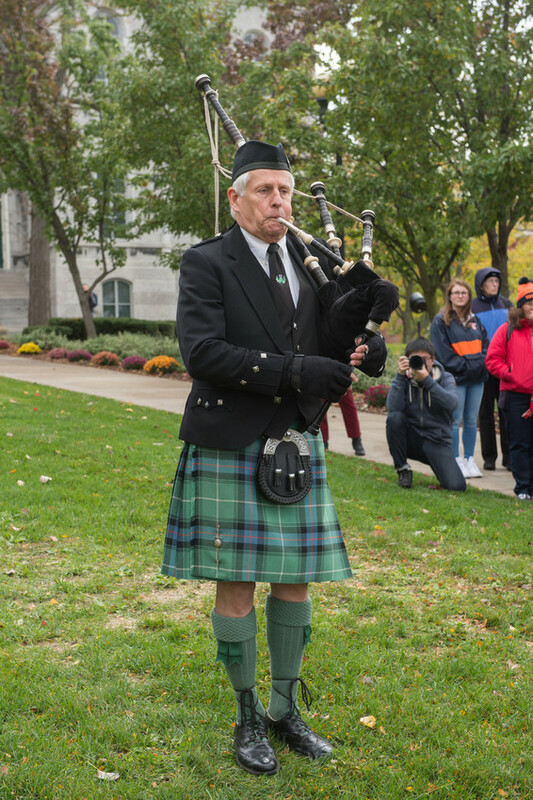 Bagpiper Avery Head performs during the Rose Laying Ceremony Friday. 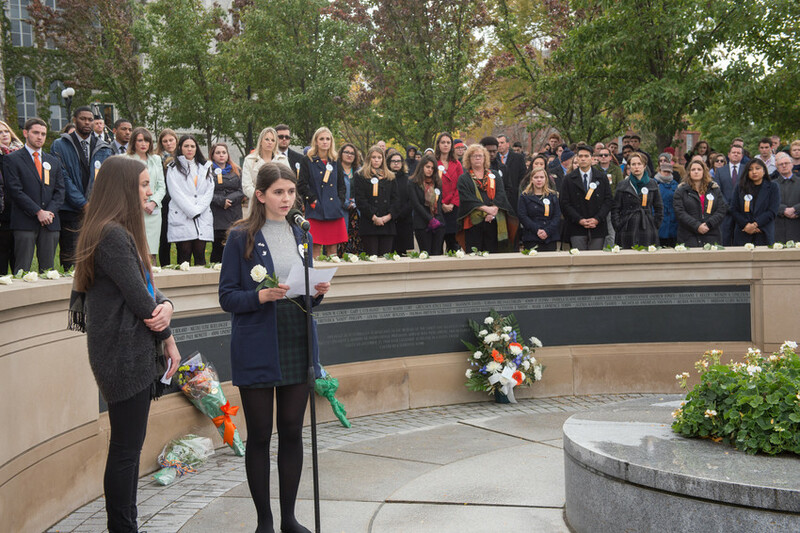 Lockerbie Scholars Sian McLaughlin and Shona Beattie speak during the Rose Laying Ceremony at the Place of Remembrance. Remembrance Scholar Katherine Barymow places a rose on the Wall of Remembrance. 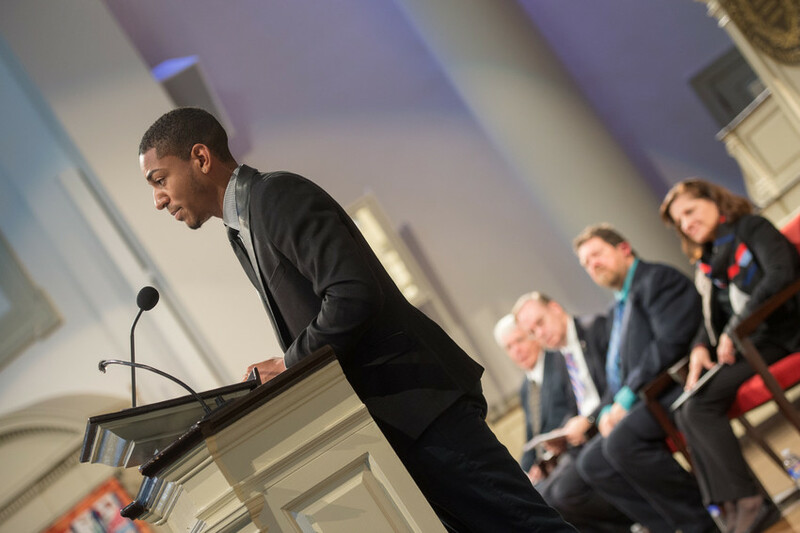 Remembrance Scholar Malik Evans speaks during the Convocation Friday at Hendricks Chapel. 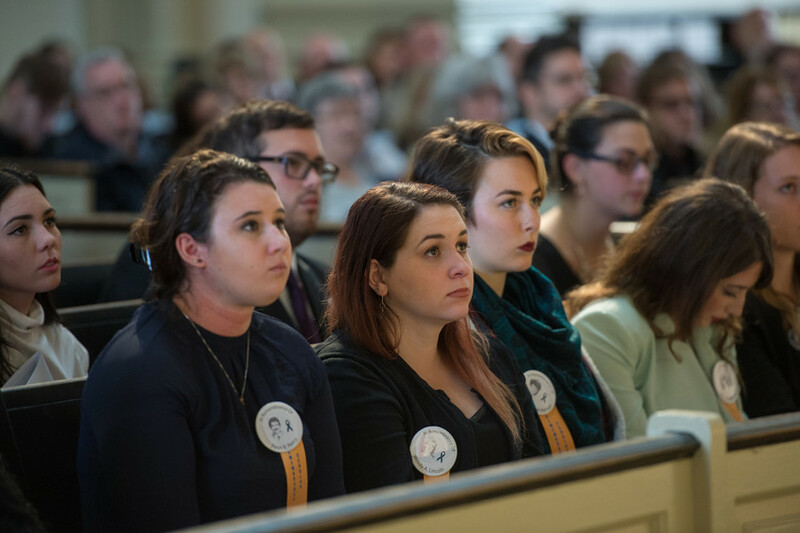 Remembrance Scholars listen to the speakers during Convocation in Hendricks Chapel Friday. 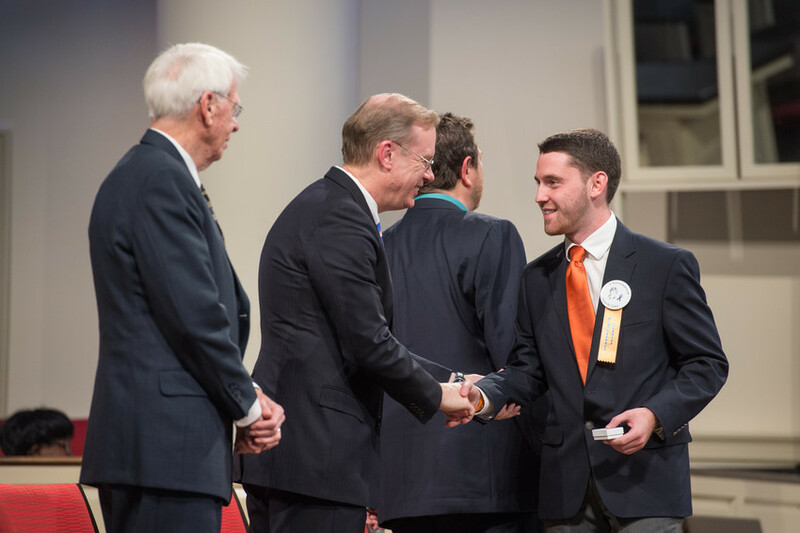 Remembrance Scholar T.J. Wells shakes hands with Chancellor Kent Syverud during the Convocation ceremony Friday in Hendricks Chapel. 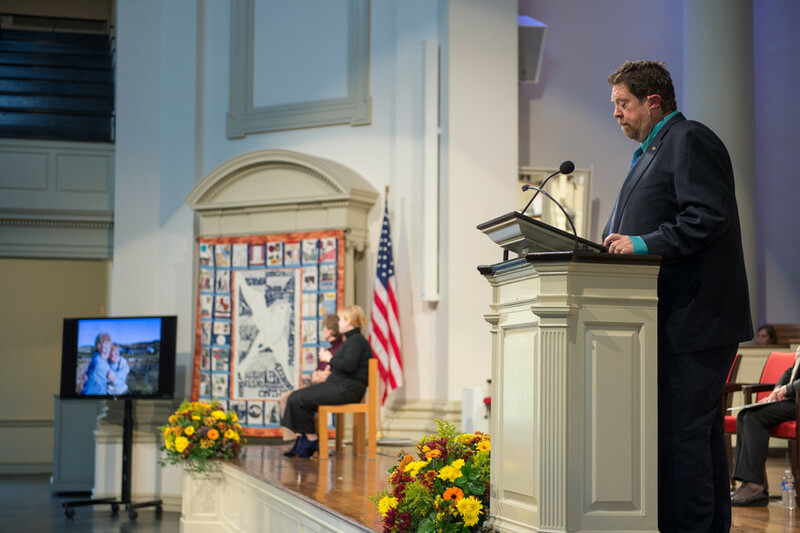 Professor Larry Mason speaks during the Remembrance Convocation Friday in Hendricks Chapel. 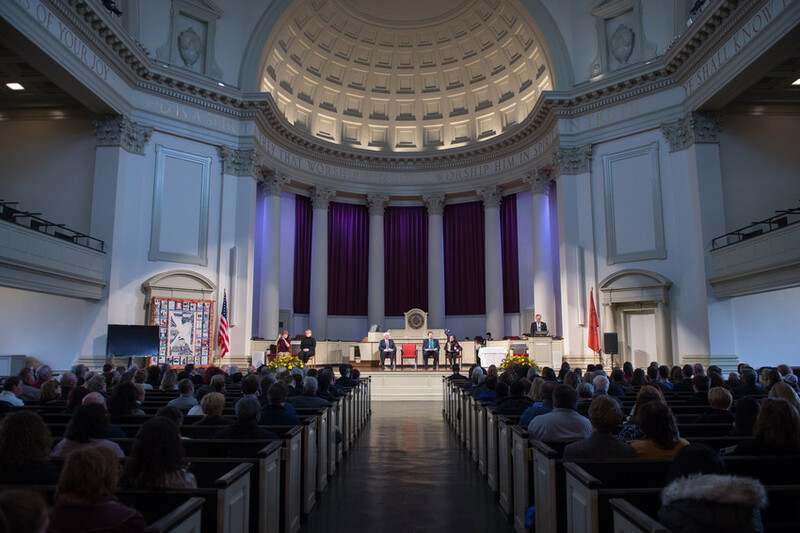 The Remembrance Convocation was held Friday in Hendricks Chapel.